Our girls’ learning continues beyond their classrooms, with our lively and diverse programme of morning and lunchtime clubs, sports and after-school activities. 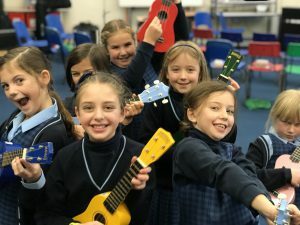 Our girls love to perform and get many opportunities to take part in productions and concerts at school and other venues, showcasing their incredible musical talent and progress. The girls are encouraged to embrace the great outdoors. Whether as part of the curriculum or our enrichment programmes, girls of all ages take part in a variety of activities, including den building, bushcraft and scaling the heights of the climbing wall. Taking part in outdoor activities helps build character, stamina and resilience, while promoting leadership and teamwork skills. It’s also a lot of fun! 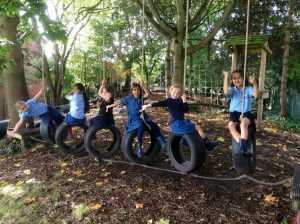 So whatever the weather, you’ll find girls from Reception through to Year 6 kitted out accordingly, enjoying anything and everything that the great outdoors has to offer, under safe and supervised conditions. 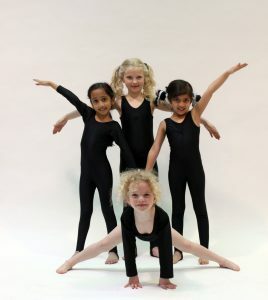 Our House system first begins in Reception and continues through to the Sixth Form. 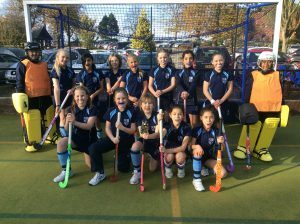 It is a big part of our community as it promotes a sense of belonging and encourages our girls to support each other and make friends in different age groups. It provides them with positive role models and leadership opportunities where they take responsibility for themselves and others. We believe it’s important for our girls to understand the community outside the privileged world of the school. Charity work also helps teach our girls respect for others and raises awareness of their role in the wider community.